The PWR Training Sandbag is an exercise sandbag that helps firefighters (and non-firefighters) improve their functional fitness. It consists of an outer canvas shell with 3 inner tubes which can be filled with kitty litter (recommended by the manufacturer), sand or other non-abrasive material. 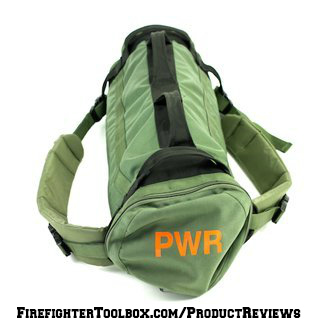 PWR Training offers shoulder straps (additional purchase) that attach to the bag so that firefighters can wear it like an SCBA cylinder. I used the PWR Training Sandbag in approximately 10 different workouts, using a total weight range of 25-50 pounds. 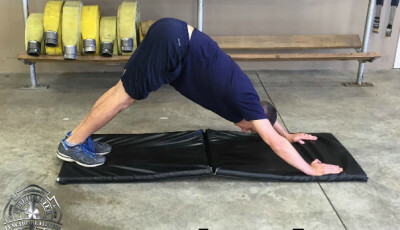 Using The Big 8 concept from Firefighter Functional Fitness, I used the sandbag for core workouts, cardiovascular capacity training, flexibility, pushing, pulling, lifting, dragging, and carrying. I used it in my gym workouts and also in firefighter functional training circuits. Its dimensions measure 26” x 8” when filled with material, and it takes the shape of a cylinder. Handles: It has 4 ergonomic handles—a parallel pair in the middle of the bag, and a perpendicular pair towards the outer edges. 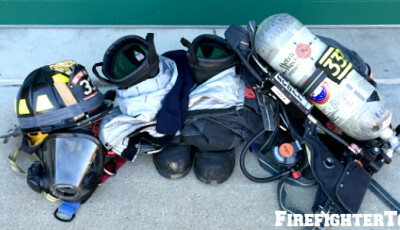 Accessories: Shoulder straps can be attached to the bag so that it can be worn as a backpack (similar to an SCBA cylinder). I highly recommend purchasing the shoulder straps with the bag. One of my favorite ways to work-out with the PWR Training Sandbag was wearing it on my back while climbing on a stair climber and on the Jacob’s Ladder machine. Warranty: One-year limited warranty with full replacement. Return Policy: 30-day, 100% money-back, satisfaction guarantee. The owner of PWR Training, Tom Stroup, states that he has had no returns for customer satisfaction reasons. 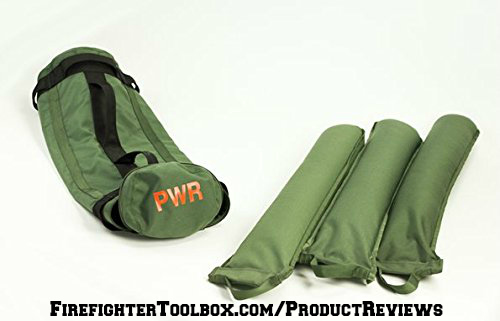 The PWR Training Sandbag is well made with solid construction. In my 10 workouts with the sandbag, I put through the wringer—dragging it on the ground, pulling and hoisting it with a rope, dropping it from shoulder height, as well as performing cleans, snatches, kettlebell-style swings, thrusters, and other dynamic movements. The handles, inner bags, zippers, velcro, and an outer shell held up very well to the punishment I put it through. I have every reason to believe that the PWR Training Sandbag will last a long time. At the time of this review (October 2016), the price range of PWR Training Sandbags with shoulder straps was $115-125. The Firefighter Edition (black bag with neon green reflective straps) that I tested carried a price tag of $125. If you don’t want the shoulder straps, you can purchase the original version for $95. To purchase this product, go to PWRTraining.com. Who Should Use the PWR Training Sandbag? As a career firefighter, advocate of functional fitness, and co-author of Firefighter Functional Fitness, I highly recommend the PWR Training Sandbag for both firefighters and non-firefighters alike. Any instance that we can get away from using stationary exercise machines (i.e. Chest press, leg curls, leg extension, etc.) and instead use a combination of bodyweight and free weight modalities is the optimal choice for improving functional fitness. Do You Recommend the PWR Training Sandbag? For the variety it offers, the $95-125 price tag is a bargain. To my knowledge, PWR Training is the only fitness sandbag manufacturer that offers shoulder straps so that it can be worn like an SCBA cylinder/backpack. To me, this was a huge benefit for firefighters wanting to improve their functional fitness. It is portable—It can easily be brought to the gym, firehouse, or even on a hike. If traveling via airplane and you want to bring it with you, I would recommend emptying the sand from the tubes, purchasing a bag of sand at your destination, and then refilling them. I purchased a 70-pound bag of sand for under $5 (which is more than enough). The 3 separate inner tubes allow for quick weight adjustment, based on the exercise you are performing or based on your current fitness level. For example, if performing stair climbs, drags, pulls, cleans, etc., I used 40-50 pounds in the bag. However, when I used it for core workouts, I took out 1-2 inner tubes to reduce the weight. 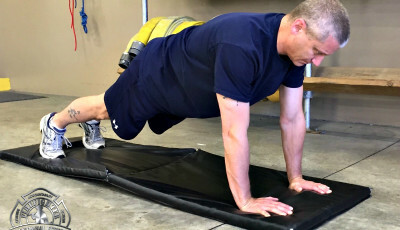 It encourages workouts that combine cardiovascular capacity training and functional strength training—exactly what firefighters need to do to improve their functional fitness. It is a durable, high-quality product that will last for a long time. 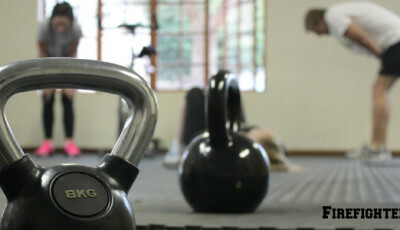 There are a wide variety of instructional workout videos available at PWRTraining.com. Are There Any Safety Issues With PWR Training Sandbags? There are no apparent safety issues with PWR Training Sandbags. Any Reasons Why You Would Not Recommend this Product? No, I really enjoyed using it for my workouts and will continue to do so. For more information on PWR Training Sandbags, please visit PWRTraining.com. PWR Training can be found on Facebook (@PWRTrainingWorkout), Instagram (@PWRsandbags) and YouTube. PWR Training Sandbags are made in the USA. 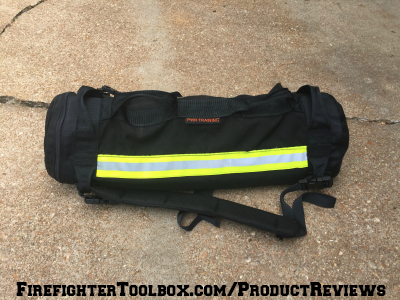 Firefighter Toolbox has been hired to provide an honest review of the manufacturer’s product by an experienced firefighter or fire officer and/or expert/thought leader in the fire service. We have been paid a flat fee up front and in no way, shape or form have been influenced to provide a favorable review. We get paid whether it’s a good review or a bad review so our review is independent and unbiased. If you have any questions about the process, please contact us at FirefighterToolbox.com. 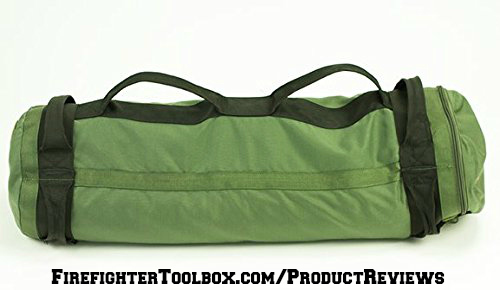 If you would like to have your product reviewed, please contact us at FirefighterToolbox.com.